Here is a list of all my videos, and videos I appear in for December 2012! Watch for more great videos and shows in 2013 including Season 2 of #KitchenParty! Cookie Party Prep – The Party! 145k views, 100+ subscriber Thank You! It is almost New Year’s Eve and champagne (or other sparkling wine) will be on the menu. Why not learn a bit more about this bubbly concoction and increase your enjoyment of it? Today, in honor of this amazing beverage, I present Champagne Info! #10 Make your own champagne!?!? What?!? Make your own champagne?!?! Crazy you say? Well, it only takes a quick Internet search to get lots of info on making your own champagne (or more appropriately, sparkling wine). There are a lot of recipes using the traditional grapes, but also one on making elderflower sparkling wine and many more. 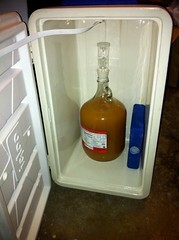 Making wine, or beer, isn’t really that difficult. The equipment is fairly cheap and easily available at your local brewing supply shop. Most every city of even medium size has a least one such store, or you can order you equipment and supplies online. Of course, making any carbonated beverage comes with the risk of an exploded bottle or two, but if you closely follow the directions, and store the fermenting bottles in a place where they can do little damage, you should be fine. I am thinking of using my ginger beer recipe (taken from Hugh Fearnley-Whittingstall linked below) and making some sparkling fruit juice/cider in plastic bottles. Might be interesting and it wouldn’t have as much sugar as the ginger beer does. Food: Champagne Info #10: Make your own champagne!?!? 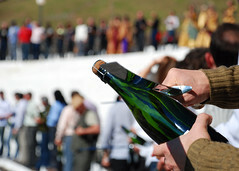 If you really want to show off on a special occasion, like a wedding, you can learn how to open a bottle of champagne with a sword or saber. I can be a little dangerous and a bit messy, but if you are trying to make an impact more than the wine itself, sabrage might be of interest to you. That said, I wouldn’t do this with a fine bottle of champagne. One way to dress up a mid-low range Sparkling Wine, or just create a great tasting cocktail is to add a little liqueur to a flute of champagne. 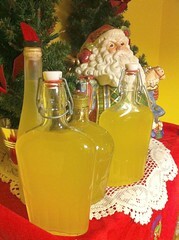 I make my own limoncello each year which makes a great lemon-drop style cocktail, but in the past I have also used my friend’s cranberry liqueur, pistachio liqueur from Sicily and even commercial liqueurs like Chambord (raspberry), Frangelico (hazelnut), Amaretto, and Midori (melon). I think it would be a great party idea to have a wide selection of liqueurs, some mid-range champagne and have an evening-iong (heck, day-long) tasting party with the various combinations. Have each person bring a bottle of champagne and 1 liqueur to share. Typical quantities are usually 1 shot of liqueur to a flute of champagne. Adjust amounts for smaller glasses, especially it you are having a tasting. I discovered Spanish Sparkling Wines in college. They were less expensive than Champagne, but tasted just as good. Cava is named after the caves where it is traditionally made and uses the same Methode Champenoise process used to make Champagne in France. Freixenet is a cava producer I regularly see on shelves here in California. 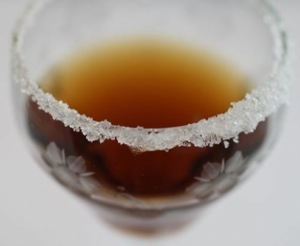 I was cruising around the recipe database on Bakespace.com and came across this amazing cocktail. A few of these could be the perfect end to a New Year’s Eve celebration. Yowza! Chocolate, Hazelnut, Champagne. Yum! Since we are part of a large Italian family on my wife’s side, Prosecco has always been a part of our holiday libations. This sparkler has all the beauty and taste of a French Champagne or a California Sparkling Wine, but with a slightly sweeter, fuller bodied taste. 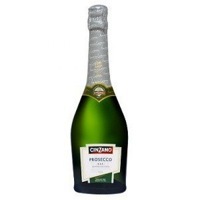 Prosecco stands up well to the inclusion of liqueurs to make a Champagne Cocktail or as the base for a great Bellini or Mimosa breakfast cocktail. Champagne purists will turn up their nose at you if you call a California Sparkling Wine (or sparkling wines made anywhere else but France) Champagne. The French have had a lock on the name for a while (It is mentioned in the Treaty of Versailles the ended WWI) and in the links below you can find out how and why. How do they make Champagne? Simple, a process called Méthode Champenoise. In this way they first make a good white wine, then using a bit more yeast and bit more sugar, they cause a sec on fermentation in the bottle to create the famous bubbles. You can use a similar method to make homemade ginger beer and fizzy hard cider, too. 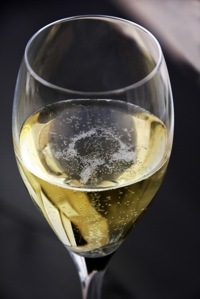 Here is some more information on Méthode Champenoise and how it is properly done.